Globalscope on the road: Encouraging and inspiring one another! 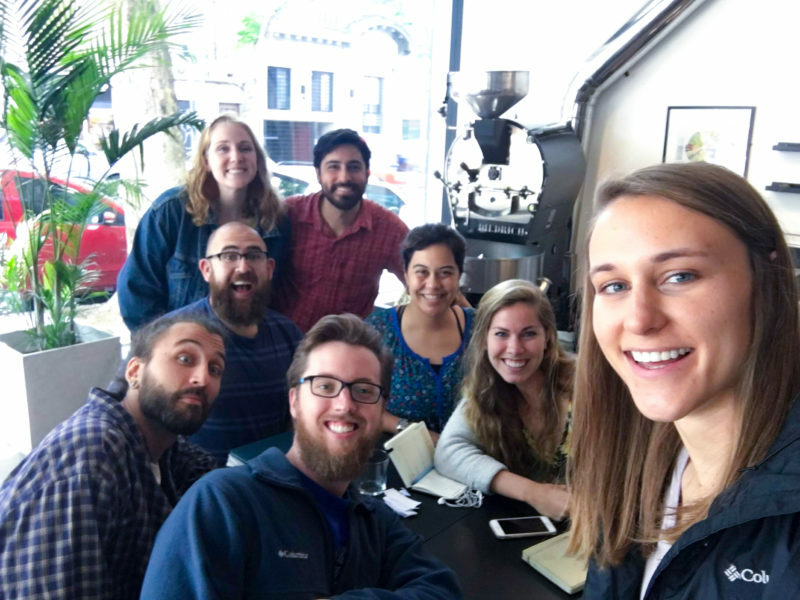 Over the last few months, three Globalscope campus ministers have traveled between ministries, leaving their comfortable home bases to provide a change of perspective, a renewed vision and a fresh batch of new ideas. Globalscope Assistant Director Kami Reed shares their stories and perspectives here. Globalscope Chile campus minister Stephanie Tillman, right, recently visited the La Ruta campus ministry team in Montevideo, Uruguay. 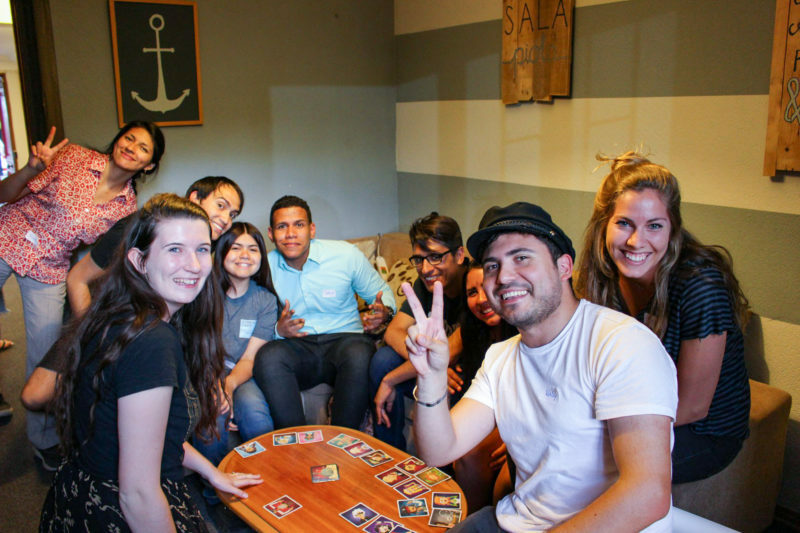 Abigail Bullinger, right, a campus minister in Montevideo, Uruguay, poses with students at the El Oasis campus ministry in Santiago, Spain. 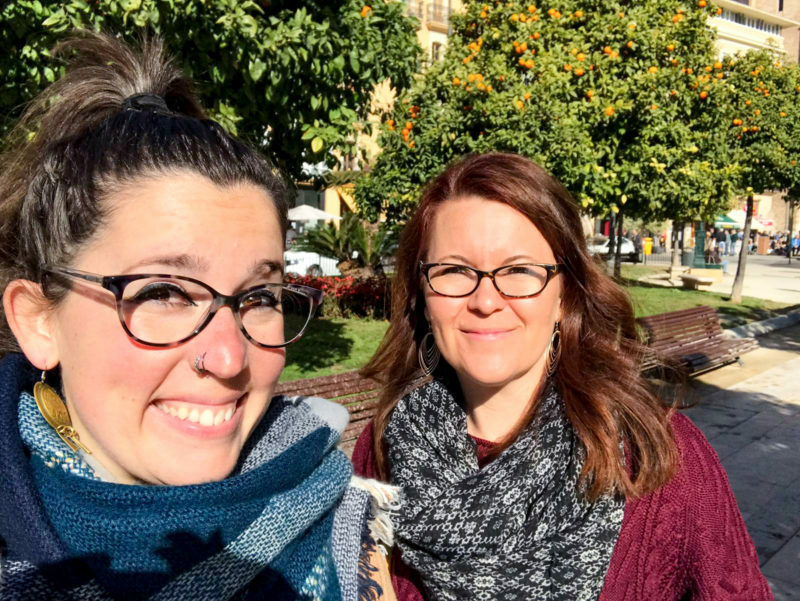 Eva Puerta López, left, a campus minister at En Vivo in Salamanca, Spain, enjoyed her visit with Erin Allsop, right, and the rest of the En Vivo Valencia team recently. 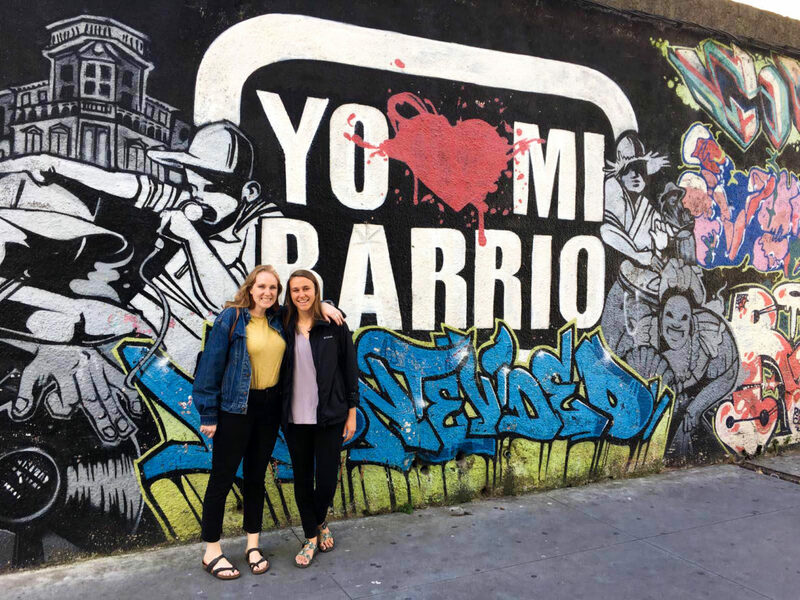 In May, campus minister Sophie Bentley will travel across Spain from Valencia to Salamanca to serve with the ministry there, which she and her family helped start nearly 15 years ago. As Globalscope continues to grow, we hope to see more and more collaboration between all of our ministries! While each of Globalscope’s 13 ministries has a unique context and timeline, we believe that each of these ministries can encourage and inspire others to transform the lives of university students and the communities where they live with the love of Jesus.